The Hot Dog Truck: A pitcher of Guinness? So Mrs. Hotdogman and I are out at a bar last week checkin' out Playin' Dead (one of the drummers was a die hard Hot Dog Truck regular back in the day) and the bartender starts filling a pitcher full of Guinness. 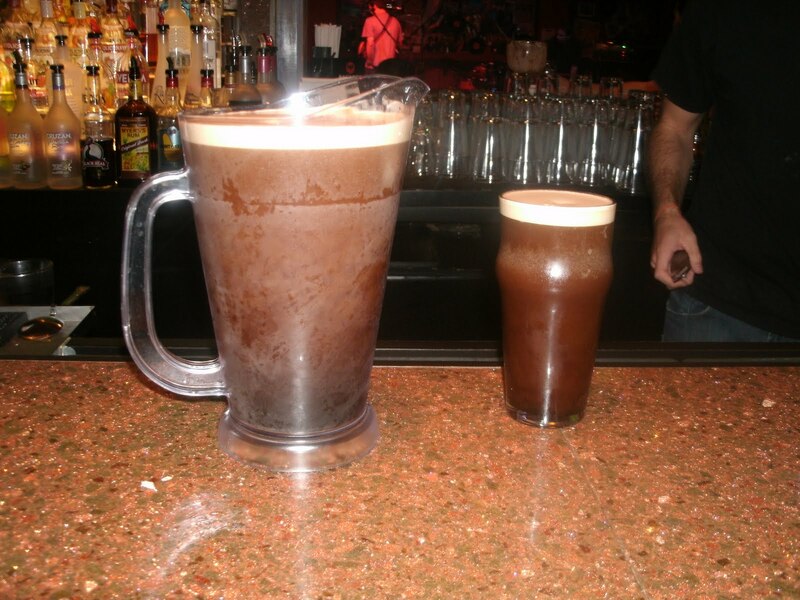 A pitcher of Guinness? I've been to a couple of bars through the years and Mrs. Hotdogman was a bartender for 6 years; neither one of us has EVER seen someone order a pitcher of Guinness. The bartender who filled it hadn't ever seen it either- in fact he informed the person who ordered it that it really wasn't the best idea. I don't know if I'd ever see this again, so I snapped a picture.